For those who enjoy an extra-large cooking area that offers more cooking options, this extra-wide (90cm) cooking hood is the perfect extraction solution! Do you need more or less power from your hood when preparing a meal? 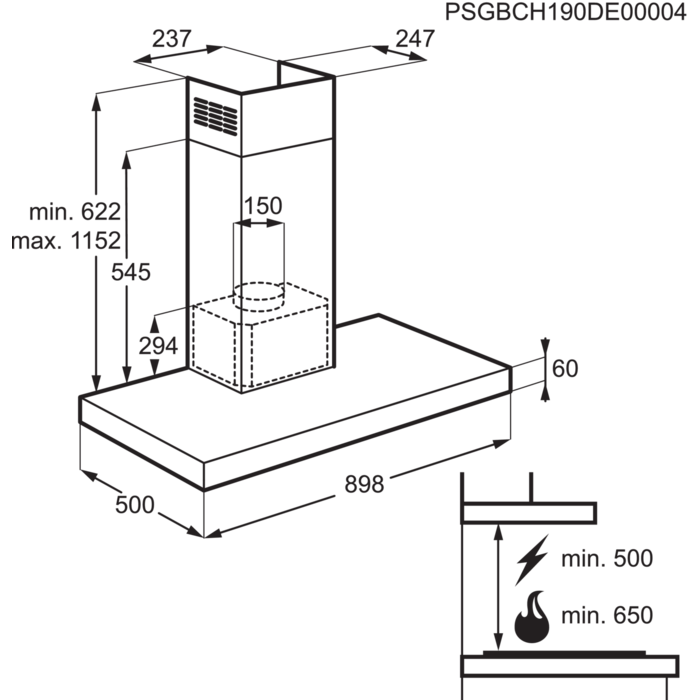 The controls on this model let you set the ideal extraction level at the push of a button. Why spend more time cleaning appliances than you have to? The aluminium cassette filter in this cooker hood is definitely low-maintenance. When it needs to be cleaned, simply pop it in the dishwasher! Thanks to the bright halogen lights built into the extraction unit, this cooker hood provides plenty of light, so you can always see exactly what you're doing. 71 dB(A) noise level: This cooker hood has a maximum noise level of only 71 dB(A) to help maintain a more peaceful kitchen environment.